Danielle is on the blog again, and today, she's discussing the Ecclesiastic crest. 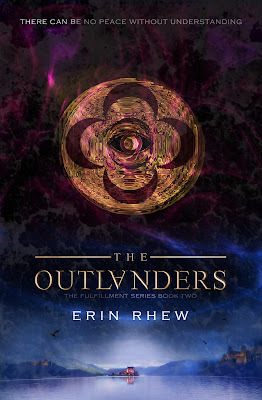 This crest graced the cover of the second book in the series, The Outlanders. When Deek gets the cover for 122 Rules from his publisher, we're going to get tattoos to celebrate our books. For the longest time, I couldn't decide if I wanted the Ecclesiastic symbol or the Vanguard symbol. I think I've finally settled on the Vanguard one, but I still think it would have been cool to get this on my shoulder and have that eye always watching people. Hahaha! Hello again! We will move on to the spiritual leaders of Layla's world by dissecting their crest, which was a lot of fun to create. What can we say about the Ecclesiastics? We can imagine that they had an important purpose once upon a time, but as time went on, power and control became too seductive to this group led by Elder Werrick. They originally were responsible to hold true to the Prophecy and ensure its (or their own?) message was carried out to all the lands. Then the dark days came, and testing the Prophecy candidates became their agenda. Werrick wanted to be the one responsible for finding the Fulfillment to begin this promise of peace, even though he keeps a lot of secrets! When thinking up what a crest for a religious group would look like, I decided to go back to their beginning, what that group would be like at the time a crest would be created for them (well before Werrick's time!) The crest contains 3 main parts which are the elemental symbol for spirit, the lunel (4 crescent moons) and the ever-present purple eye. The first symbol I actually chose for any of the crests was the four crescent moons. A lunel symbolizes one who has been honored by the sovereign; hope of greater glory. What could be more fitting for a group who is supposed to uphold the traditions and hold the keys for obtaining everlasting peace? We all know the Ecclesiastics in Layla's time fell very short on this but perhaps the intentions were there when the group was initially formed. I imagine a group of men gathering to discuss these last words given to them from the First Ones, studying over all their history, and going out into the kingdoms to tell their version and keep the hope alive among all citizens who are living through this seemingly never-ending war. They are the messengers of this long awaited peace, and it must be shared and sought after, without political ties. The colors for the crest were chosen because the Prophecy, “...she with the raven black hair, purple eyes...” says it all. 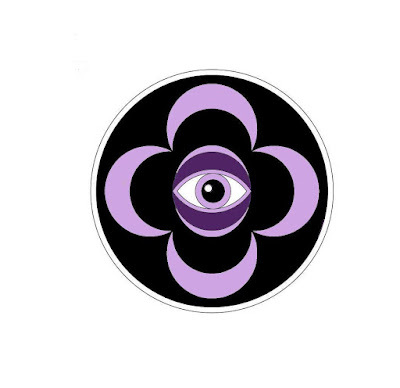 The black background and the purple eye are there to remind them to keep their eyes on the prize, a prize that Werrick was much too eager to find for glory. Many thanks to my wonderful stepmom and family artist, for helping me with the graphics for the eye. 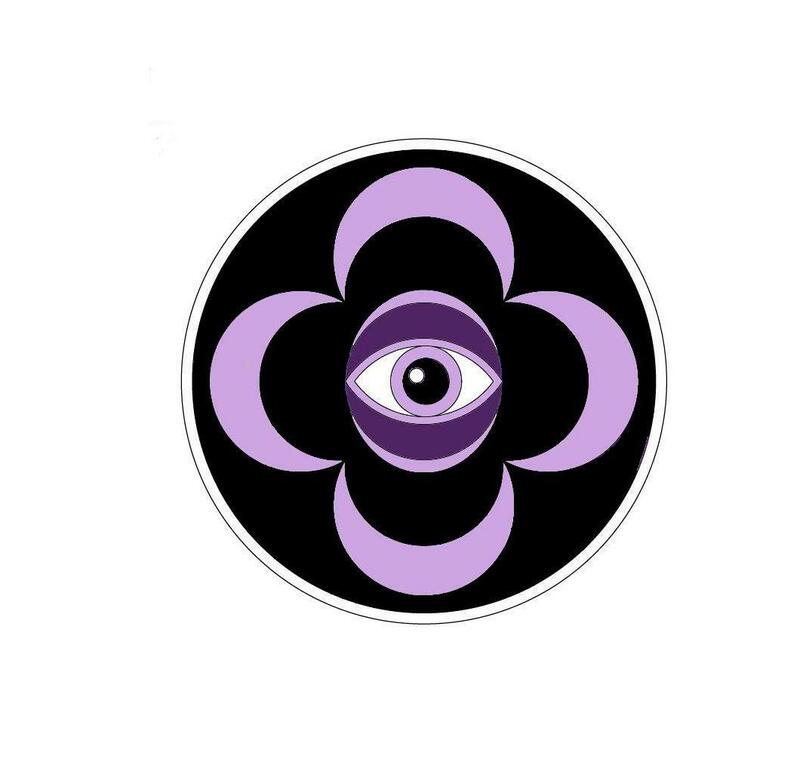 Our biggest fear was if the eye looked too much like the CBS symbol. It doesn't- she did an amazing job! Curious as to if Layla, Wil, Nash, and team will be the ones to complete this Prophecy and bring about the promised peace? Wondering what the fate of a group like the Ecclesiastics will be if the prophecy is fulfilled? Don't forget to pick up the last installment in this awesome series called The Fulfillment on sale October 15th. Next, we will head over to the Ecclesiastic neighbor, Volton for a peek into their crest!